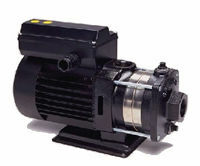 At Pump Express, we offer Grundfos centrifugal pumps. Grundfos centrifugal pumps have an impeller within them which revolves fluid and increases the pressure within the pump. The pressure generated creates a centrifugal force which discharges fluid from the pump. From this pressure, kinetic energy is transformed into pressure. 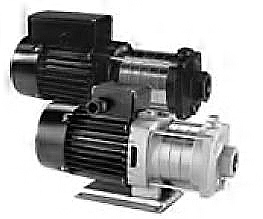 Centrifugal pumps also lift water from lower levels to higher levels.